OUR INTERNATIONAL TEAM of consultants has many decades of industry specific expertise in Executive Search and Human Resources. SKILLS, KNOWLEDGE, AND EXPERIENCE, derived from many years in the industry, enables us to identify and assess quality candidates on a timely basis. We take the time to understand the client, their needs and their industry. THE BACKGROUND OF OUR TEAM MEMBERS encompasses a wide variety of disciplines including operations, marketing, finance, management and consulting, as well as various nationalities, languages and cultures. We understand corporate cultures and the talent that fits best. THIS TEAM OF SPECIALISTS manages the search assignment from the beginning until completion in a truly hands-on fashion. This provides a more personalized service for our clients. E.J. held positions as Senior Vice President for the US-Northeast-Region and Country-Managing Director positions (President) in Japan, Korea, and the U.K. He has been responsible for operations of 270+ staff. Among other projects E.J. had also been instrumental for the startup and operation of projects for Hewlett-Packard (HP) in Germany. For several years E.J. lectured as panel-member at the ‘Japan Market Entry Competition’ in Tokyo, a group comprised of Chambers of Commerce from Europe, USA and Canada. E.J. lectured at UC Berkeley (Haas) and DeVry University (Keller Graduate School of Management) on International Business and regularly presents on “Marketentry USA” (US workshops) in Germany, Switzerland, UK and France. E.J. is also a mentor at German Accelerator, a German Government (Federal Ministry of Economic Affairs & Energy – BWMI) sponsored entity to help German founded Startups. Outside of the German Accelerator, EJ has helped many other companies and startups with mentoring, team-building, advisorships and as boardmember. E.J. traveled to more than 40 countries all over the world. His native language is German, speaks English, Spanish and French, and is able to communicate in Japanese. E.J. provides leadership and oversees YES Partners’ operations, planning and marketing strategy. 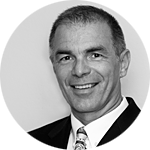 He brings many years of General Management experience and helps build and grow companies in Europe, Asia and North America. His expertise covers supply chain management, logistics and software. He understands business objectives and recruiting needs and team-building from the client’s point of view. A native of Germany, but has spent most of his career internationally in various management positions which give him a unique global perspective. 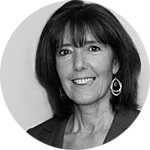 Rose has over 20 years experience in the Executive Search and Recruitment Industry. As Executive Recruiter she has national and international experience in recruiting high caliber senior level management staff in the High-Tech, Life Sciences, Financial Services, Media and Retail industries on three continents. Rose has a degree in Sociology from Queens College and speaks four languages besides English, which include French, German, Japanese and Korean. Rose started her career as a Technical Recruiter of Electronics and IT executives for Fortune 500 companies in the financial services industry. Later on she recruited Partners and Management Consultants in the IT-consulting and management-consulting arena. Major clients included the “big-five” accounting and management consulting firms as well as other large IT consulting organizations. Rose worked several years in Japan where the concept of Executive Search was virtually non-existent. She helped multi-national companies meet the challenges of initiating operations in Japan by attracting and retaining local staff for key management positions in their branch offices or subsidiaries, and was instrumental in helping organizations such as The GAP recruit their entire executive team. 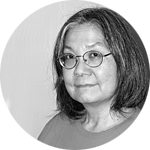 Rose also worked for several years in Seoul/Korea helping foreign subsidiaries such as Organon and SC Johnson successfully expand their organizations. Additionally, she assisted Korean companies looking to recruit executives from the US to work in Korea. She focused on bridging the ever-present cultural gap between company and candidate. Based mainly in the UK, Rose’s responsibilities stretched throughout Europe. One of her main duties was to recruit key executives worldwide for Marconi and across EMEA for Prudential Insurance. Rose also lived and worked in France and Germany, giving her the knowledge and understanding of these cultures as well. She prides herself on the strong professional relationships she maintains with her clients as well as her candidates worldwide. She specializes in understanding corporate cultures, advising her clients on market & salary trends and providing talent that fits the best. Mr. Kaiba has completed a long list of senior level searches for Fortune 50 companies as well as for small, medium and start-up businesses. His assignments have included a number of President and CEO positions, along with Vice President and Director-level positions across a broad range of functional disciplines such as sales and marketing, finance, operations and human resources. Mr. Kaiba’s native language is Japanese. 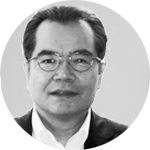 Mr. Kaiba has 30+ years of experience in international business with a focus on Logistics, SCM (Supply Chain Management) & Forwarding. He consults with domestic and international clients which include FMCG companies (Fast Moving Consumer Goods/Retail) such as MaxMara, Wella, P&G (Procter & Gamble), Mitsubishi Corp. and Mitsui & Co. In addition Mr. Kaiba has close ties to various wine-importers and distributors in Japan. 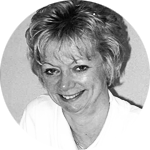 Linda brings a wealth of human resources experience and a strong international background. Her career encompasses 12 years in technology and media in Asia and the U.S.
Linda gets involved in working with clients to understand their businesses, organizations and their inner culture and thinking. She not only advises on a strategic hire, but also offers insight into the development and implementation of major strategic human resource programs. Linda’s experience has given her the skills to be successful in maintaining relationships with clients and recruiting high-caliber candidates. She has recruited top talent for many fortune 500 companies. Her expertise includes technology hiring strategies and innovations in attracting, motivating and retaining senior-level talent. She has a strong dedication to thoroughly understanding her clients’ needs, and to providing timely results with integrity. She specializes in difficult-to-fill searches and has done extensive search work at the middle and senior management level, for both technical and non-technical positions in a number of industries including consumer products, software, retail, financial services, telecommunications, manufacturing, e-commerce and consulting. 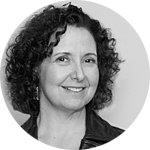 Fran is an Executive Search Consultant at YES Partners. Having lived and worked in France as well, she has expertise in recruiting in the US and Europe. Fran conducts senior-level executive assignments. She has recruited into companies of all sizes across a broad spectrum of industries, including: Fast Moving Consumer Goods (FMCG), Retail, Publishing, Education, Real Estate, Life Science and Online Media. Her rich and diverse background includes retained executive search in global, mid-sized and boutique firms, as well as in-house corporate talent acquisition. This gives her the breadth and scope of executive recruiting experiences to fully understand client needs and quickly deliver the right search solution with outstanding service. 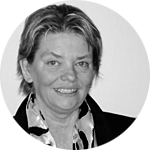 Patricia is widely travelled and able to negotiate in multicultural environments within global organizations. She is skilled at formulating and directing successful business, organizational development and marketing strategy plans. She has high levels of professional integrity and team leadership, with excellent communication skills. Patricia’s core competencies include establishing key objectives and delivering requirements, applying a logical approach to problem solving, inspiring and motivating colleagues, meeting deadlines and maintaining quality, prioritizing and working under pressure, setting and working within budgets, managing projects from conception to fruition. Her areas of expertise include Marketing, Management Consulting, Events Planning, HR Outsourcing and Consulting, Training, Non-Profit, Publishing and Corporate Hospitality. Cherille brings about 20 years of leadership and management experience in international finance, operations and information technology management sectors as well as leading start-up ventures and divisions within Fortune 1000 companies both in the USA and Asia Pacific region. Cherille is also the President of Spark A Hope Foundation a 501 (c) 3 organization set up to work on projects to educate disadvantaged children and women in Sri Lanka. Cherille has a MBA from New York University (NYU), Stern School of Business, is a Chartered Financial Analyst and a Chartered Accountant (Sri Lanka). Cherille is a consultant to start-up ventures in Silicon Valley by providing hands-on CFO/Controller expertise and infrastructure support through the implementation of processes, controls and systems. 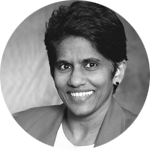 Cherille has expert skills in financial modeling and is experienced in defining and implementing key performance indicators (KPI) as well as managing the implementation of business intelligence solutions. Vice President, Finance and Operations for Citibank’s Asia Pacific Technology and Operations group. Vice President of Operations, Asia Pacific Region for a Citibank subsidiary that specializes in a global electronic broking service for FX dealers at Fortune 1000 financial institutions. Vice President, Operational Risk Management at Irwin Home Equity (IHE), where Cherille established and led the enterprise wide operational risk management and SOX compliance. Vice President, Compliance and Operational Risk Management at Macquarie Air Finance, which specializes in aircraft leasing services. Director, Investments and Capital Markets at the largest investment bank in Sri Lanka, managing Venture Capital investments, Initial Public Offerings (IPO) and structuring private placements. Theresa is a key and integral member of our team in building the infrastructure for our research department, as well as functioning in a pure research role. She assists in all facets of the search process which include business development activities, search strategy, and candidate identification. She coordinates volumes of data necessary for the successful completion of each search. In addition, she oversees the maintenance of our database and research resources. Theresa also supports our team in helping to win new business by researching the target market, companies etc. and by identifying and developing successful candidates for our clients. Her extensive experience of internet searching, online and printed business directories and reference tools has helped her become a resourceful professional in sourcing passive candidates, identifying market trends and other factors affecting the recruitment of top level executives.